On April 30, 2015 a wide variety of people gathered at the Roxy Theatre in Riversdale to celebrate the neighbourhood and dream about a better future than includes everyone. Executive Director Sandra Stack was invited to be one of the twelve presenters who shared her vision for the neighbourhood. 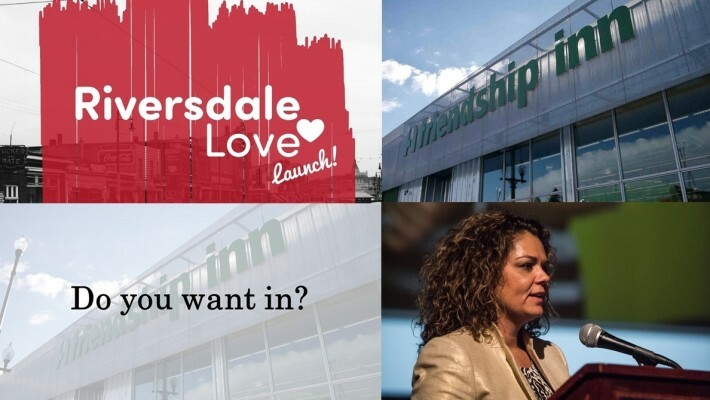 Please watch this petcha-kucha-style presentation that offers a vision of the future of Riversdale and the place of the Friendship Inn in the neighbourhood.